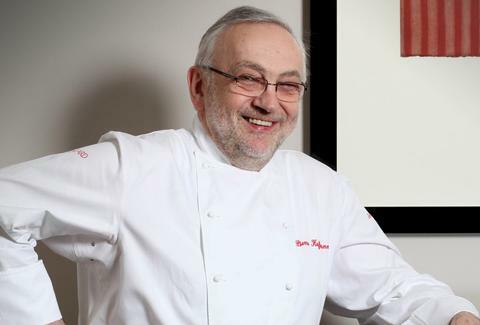 Pierre Koffmann, Three Michelin Star Chef Patron, Koffmann’s "All of my favourite restaurants that deserved a Michelin star but didn't get one. Oh, and France losing to England! Jacob Kenedy, Chef Patron, Bocca di Lupo & Gelupo "Dieting. Giorgio Locatelli, Michelin Star Executive Chef, Locanda Locatelli "That I wasn’t able to secure a table at El Viajante -- Bethnal Green Road. Daniel Doherty, Head Chef, Duck & Waffle "Not being able to try all the new places! Steve Tonkin, Executive Chef, Soho House Group "Lack of seasonal food availability due to weather. Vivek Singh, Executive Chef & CEO, Cinnamon Club/ Cinnamon Soho/ Cinnamon Kitchen "Not many new Indian restaurants, other than the second branch of Dishoom. Ernesto Paiva, Executive Chef, Garufin "Starbucks not paying its fare share of tax -- very disappointing. Not having found the time to go to The London Cocktail Club and restaurants in London still closing so early! I love to eat late, although it's not meant to be good for you (but isn’t that the case with most of the good things in life?!). Clive Watson, Co-owner, Village East/ The Garrison/ The Riding House Cafe "No disappointments for us, perhaps with the exception of the ‘Olympics exodus’. Where did everybody go? Peter Prescott, Director, Prescott & Conran, Boundary Hotel/ Albion Cafe/ Lutyens Restaurant "Edwin’s Wine Bar. I also dined at a couple of 2-Michelin-starred restaurants in the UK and 3-star restaurants in France and unfortunately all were disappointing. I think Michelin have done a lot of good work at the 1-star level, but beyond this, the experience is generally overwrought and overpriced. Bruno Loubet, Chef Patron, Bistrot Bruno Loubet "It was extremely disappointing that the Olympics was not a success story for London's restaurants. It was such a great opportunity to show off the exceptional quality of restaurants on offer, to this influx of international travellers. Sadly, people were scared off from travelling into central London! Richard Corrigan, Executive Chef, Bentley's Sea Grill at Harrods "There have been a few restaurants but I won’t name names...! I was also disappointed with the overall lack of trade in London during the Olympics. I loved the spirit, and the Games were a huge success, but everyone was told to stay out of London which massively affected trade, which was especially serious for independent businesses. Michelangelo Del Pozzo, Purple Bar, Sanderson "Callooh Callay. Alyn Williams, Michelin Star Chef/Proprietor, Alyn Williams at The Westbury "The Olympics! Great for GB and London… horrific for trade. James Lyon-Shaw, Executive Chef, ETM Group "It’s such a shame that the St John Hotel is in trouble now as they deserve to be doing much better based on their track record. Tarryn Ginsberg, Corporate General mManager, Cantina Laredo "While Mexican food is becoming increasingly popular in the UK, we still don't have an iconic TV chef showcasing Mexican cuisine and showing everyone that there's more to it than burritos and enchiladas."